What are Error 404 Pages? 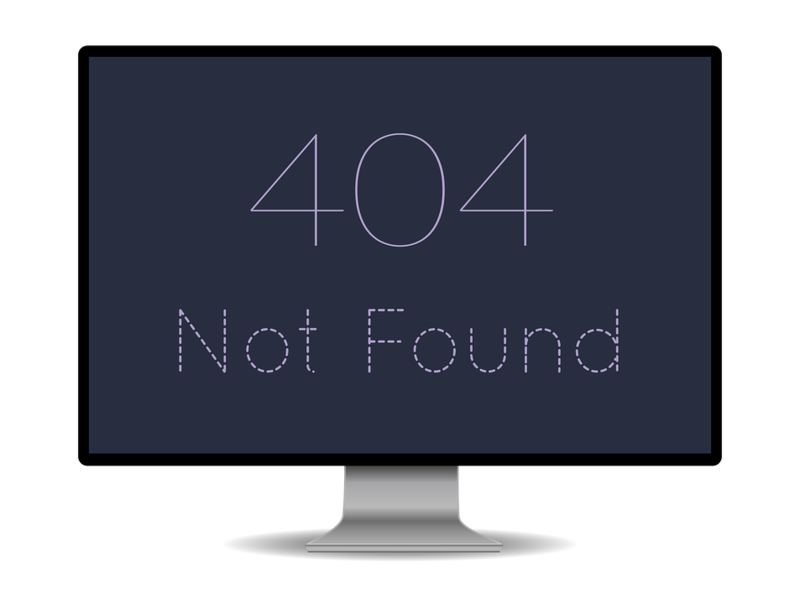 All of us, at some point in our web-browsing lives, will end up on an Error 404: Page Not Found screen. What are these pages for and what do they mean? Well, they exist to let visitors know that the page they are looking for doesn’t exist. While error 404 pages are annoying, they are necessary for web designers to make, because they can include links to get visitors out of there quickly. How did you get to the Error 404 Page? There are a couple reasons why this could have happened. The first reason could be that the URL is spelled wrong. Website URLs can be tough to remember especially if they include numbers and symbols. The easiest way to fix this error is to look at what was typed, and fix it. The second reason is that you might have clicked a non-existing search engine data link. This means the website is out-of-date and doesn’t have correct search information for Google. The third reason is a broken link. This is again the website’s fault. What this means is that there is a link or information missing that the webmaster hasn’t fixed yet. As a web designer you should design the 404 error page a certain way. There are some must-haves if it’s going to be effective in getting the visitor to what they want. Here are three ways to get the visitor off this page as fast as possible. Include a link to the sitemap or to the main page. This link will take the visitor away from the 404 page, where they can start over again. Put in a search bar, so the visitor can type in exactly what they want. This will take them to the content on your website that the visitor was looking for in the first place. Keep the error page as simple in design as possible. Strip it of all the distractions the other pages of the site have so people can leave it quickly. No one really likes error 404 pages. Sure, they are sometimes fun to look at, but it really means someone isn’t doing their job properly. So the quicker visitors can get off the page or fix the problem, the better your website can function.